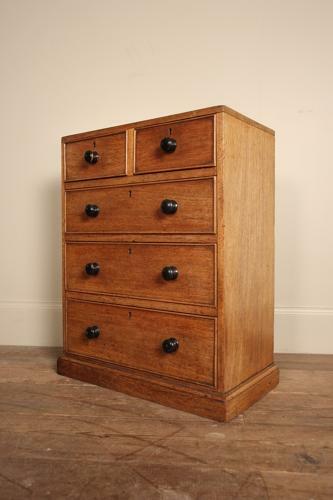 19th century collectors chest, having a caddy top with an arrangement of 2 short over 3 long drawers, all Oak lined and retaining the original ebonised knob handles, the whole raised on a plinth base. Great light colour with original finish. English, Circa 1830.